Professional Carpet Cleaning guarantees Allergen-free indoor environment. Here you Can Find the Importance of Getting you Carpet Cleaned By Professionals Carpet Cleaners Like Our Professionals Here At Busy Bee Carpet Steamer. The most important and productive benefit of getting your home or workplaces carpet cleaned By a professional company is that the level of allergens is reduced tremendously. You will agree to the fact that carpets capture all sorts of substances almost instantaneously such as dirt, dust mites, bits and pieces and even pet hair. These substances usually are not visible to naked eye and majority of the people think that vacuum cleaners are most effective. Conversely, vacuum cleaners are not as effective in removing all the pollutants and allergens present in every single fiber of your carpet. The problem is that carpets act like filters for these substances and they get stuck within its fibers. When you sit or your kids play on such highly polluted surfaces the risks of catching allergies and sinus-related ailments gets amplified. Another complication is that these particles are not just harmful for your health but also depreciate your carpets look and quality. Microscopic material along with stains and dirt get wedged into your carpet making its fibers weak and the surface flat as well as rough. Store bought carpet cleaners may offer fresh smell and tidy look but these tend to be ineffective in cleaning up such high volume of dirt and bacteria trapped within the fibers. Professional carpet cleaning tools and methods ensure that the condition of your carpets and the indoor environment is enhanced and allergens completely removed. The added benefit is that health risks rate is minimal if you hire professional team such as Busy Bee in Houston. Busy Bee carpet cleaning Houston is a company where you can avail a comprehensive range of cleaning services for making the indoor environment fully allergen free. 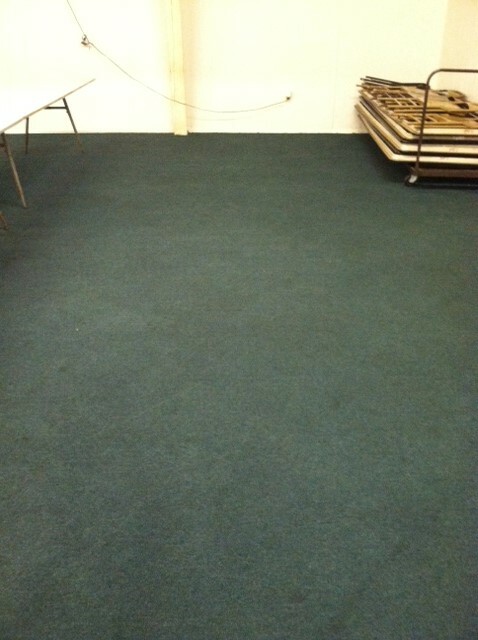 The team utilizes modern maneuvers and highly advanced soap-free solutions for cleaning the carpets. Moreover, they offer an all-inclusive deal in which the team will first inspect the carpet for stains and mites and then will apply appropriate cleaning procedures. Steam cleaning and hot water extraction are the fundamental methods which are utilized for carpet cleaning. 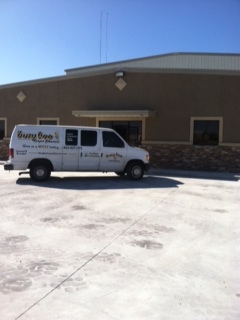 Therefore to enjoy a healthy and hearty indoor environment you must consult professionals like Busy Bee. Nowadays life has become excessively hectic, busy and demanding which leaves little to no room for performing everyday tasks like carpet cleaning at regular intervals. The result is dirty and bacteria laden indoor surroundings. It is a fact that carpets make your walking experience comfortable and the floor aesthetically appealing. However it is also true that carpets are like a paradise for dirt, dust mites, germs, dandruff, and numerous harmful allergens. Any ignorance in cleaning your carpet thoroughly will endanger you and your familys health. This is why we recommend that for perfectly clean and disinfect your carpets, you need professional help. There are various misconceptions related to professional carpet cleaning methods especially regarding the chemicals used for disinfecting and deodorizing. However, the fact is that modern day carpet cleaners are perfectly safe for being used within the household and on a variety of fibers/fabrics/materials. There is simply no chance that your carpet will be damaged during the process since most of the job is done through hot water extraction which is fully soap-free. With help of pressurized water the stains, mites and dirt gets loosen and then industrial vacuuming tools/equipment are used for completely cleaning the carpet. There is also no risk of dirt and mites residue being left if you have hired a reliable professional team. Modern carpet cleaning methods are safe for your health and even for your pets. Also regular cleaning enhances the lifespan of your carpets, which is very beneficial considering the ever increasing prices of new carpets affording a new one frequently is impractical. For residents of Houston, the choice of company is rather an easy and trustable one. 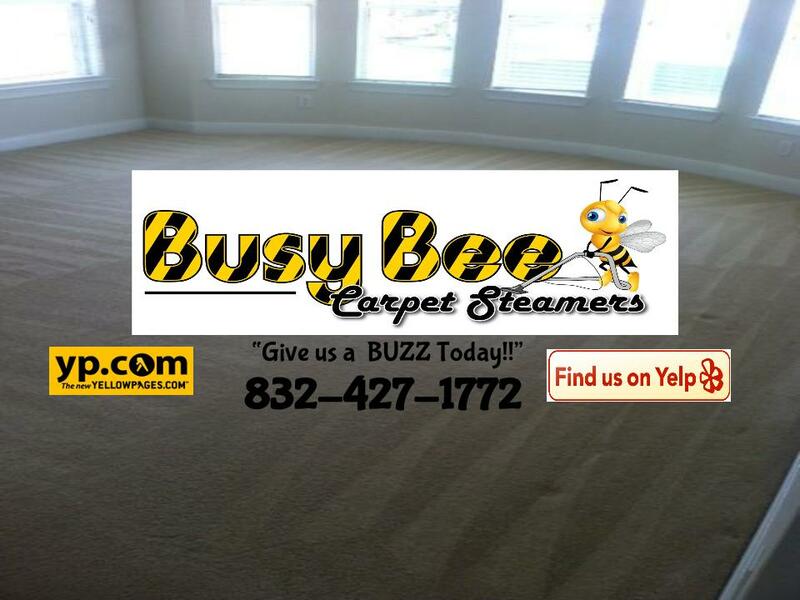 Busy Bee carpet cleaning Houston is a popular name and renowned all over this region for its state-of-the-art mechanisms and equipment used for carpet cleaning. 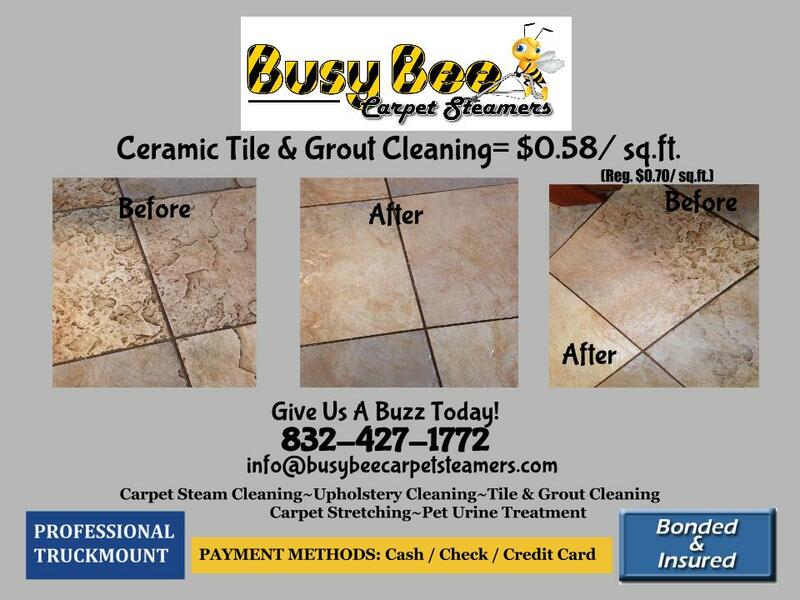 Busy Bee carpet cleaners offer services for both domestic and commercial locations and additional services of tiles, grout and upholstery cleaning. You can call us Today and here about our Specials. Advantages of Hiring Professionals for Carpet Cleaning, There was a time when only wealthy people could afford professional help and working class was restricted to cleaning their homes only when they got time. This trend is fading day by day as state-of-the-art carpet cleaning companies are emerging with affordable domestic and commercial cleaning packages. There are quite a few advantages of hiring professionals for carpet cleaning. Firstly, you get to save a lot of your time and this allows you to indulge in other entertaining and productive activities. You can spend quality time with your family and friends instead of doing the tiresome task of carpet cleaning. Secondly, professional companies use the latest house cleaning equipment and modernized methods for cleaning. Normally, people do not have such tools and also cannot afford to buy professional equipment for carpet cleaning. Moreover, it is not a feasible approach to invest in expensive accessories when professional help is available round the clock. Thirdly, the quality of professionally conducted carpet cleaning is immaculate and reliable. Professional carpet cleaning teams use high-quality disinfectants, sanitizers and deodorizers which ensure that your entire house becomes dirt, dandruff, allergen and pollutant free. Only thorough professionals can understand the correct method of cleaning a carpet so that no damage is done to your belongings and the carpet regains the lost sheer and vigor. In this regard the most important aspect to consider is of hiring a certified and accredited company like Busy Bee. 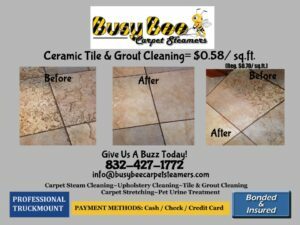 Busy Bee carpet cleaning Houston is a trusted name in the industry and offers cleaning services for tiles, grout, furniture and carpets. It is important that comprehensive range of services is offered by your chosen company so that you don’t have to hire separate professionals. Busy Bee offers steam cleaning, wax stripping, floor waxing, pre-conditioning, and sanitizing services for the entire household or workplace at nominal rates. You also get to choose the schedule according to your convenience whether after hours or at weekends. 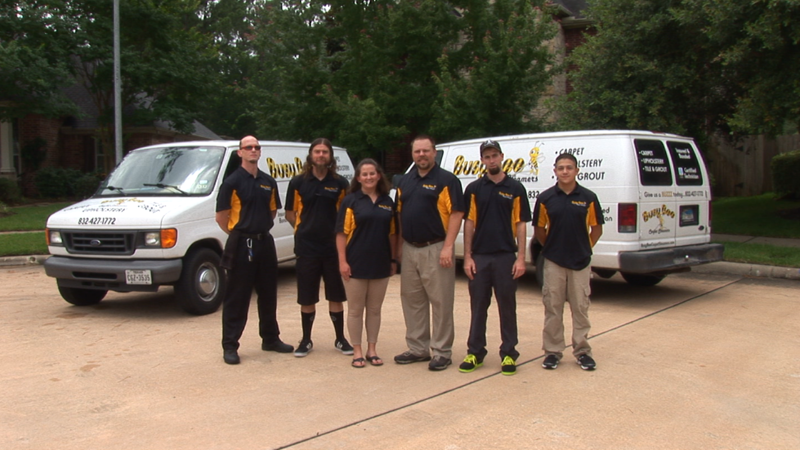 A great team at Busy Bee Carpet Steamers. Contact Busy Bee Carpet Cleaning Houston for world-class service. 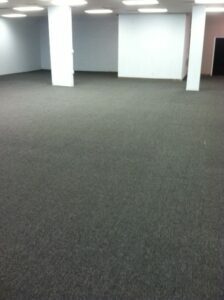 Our floors would look so unpolished and unfinished without carpets. However, the real trouble is to get them cleaned properly and regularly, which is a daunting task especially if you are working or relocating frequently. This is why we need to hire a thoroughly professional carpet cleaning facilitator. Carpet Cleaning is very important in today’s scenario where the health risks associated with dirt and debris are various and wide-ranged. Carpets receive tremendous amount of dirt miles/allergens. The probability of bacterial accumulation becomes extremely high if you don’t get them cleaned. Normal cleaning through vacuum cleaners is not adequate as these fail to completely make these germ-free. In this regard steam cleaning is the perfect option as it seeps down in the dirtiest and tiniest fibers of your carpet and wipes-out every trace of germs/bacteria from the core. Our sofas and chairs are also greatly affected by dirt and the fact cannot be negated that these items are regularly and rigorously used. This is why you cannot afford to neglect such important items as these also attract bacteria and fungus, which resultantly can harm you and your familys health. Hiring a thoroughly professional team offering a comprehensive range of cleaning services is fundamental for retrieving amazing results. Busy Bee carpet cleaning Houston is a renowned and state recognized facility which promises to bring your carpets back to life. You can totally trust the expertise of this team as they offer a wholesome package including tile, grout and upholstery cleaning along with carpets of all kinds. The team will inspect the carpet/upholstery/tiles thoroughly to locate the spots and stains and then conduct spot treatment. The next step will be of applying pre-conditioner cleaner for loosening the dirt and then sanitization will be conducted. After extraction of dirt/dust miles, allergens, dandruff and bacteria deodorization will be performed. Upon request speed-dry facility is also available. It is guaranteed that your indoor environment will become free of allergens if you avail Busy Bee Steamers services and get your whole house cleaned.